With a fully operational espresso machine on board, home baked cakes, savoury bakes, and homemade soft drinks we can bring the full coffee shop experience to you! Whatever the event, a delicious coffee and a slice of home made cake is a sure fire way to keep the crowds happy and fuelled up for the day. 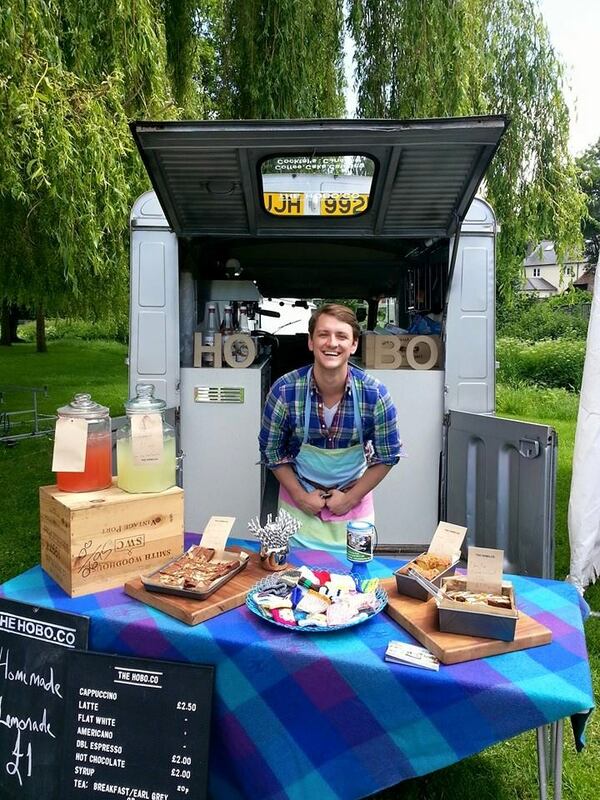 We've popped up at all sorts of fabulous events, including village fairs, school events, sports meetings and weddings. Serving our artisan roasted coffee, roasted in small batches by our supplier in Winchester, we ensure that our coffee always hits the spot. We also provide a wide selection of seasonal cakes and bakes, as well as savoury offerings such as sausage rolls and halloumi quiche, all home made in the hobo kitchen. We always offer gluten free and dairy free options; our gluten free triple chocolate brownies have a bit of a cult following! 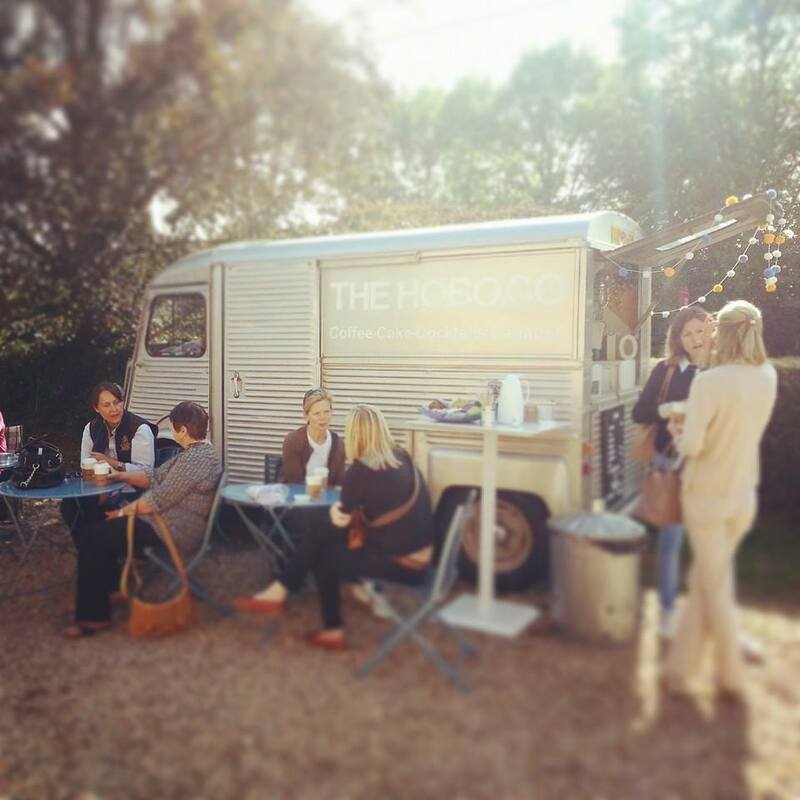 If you need something specific for your event, get in touch and we'll happily accommodate your needs. 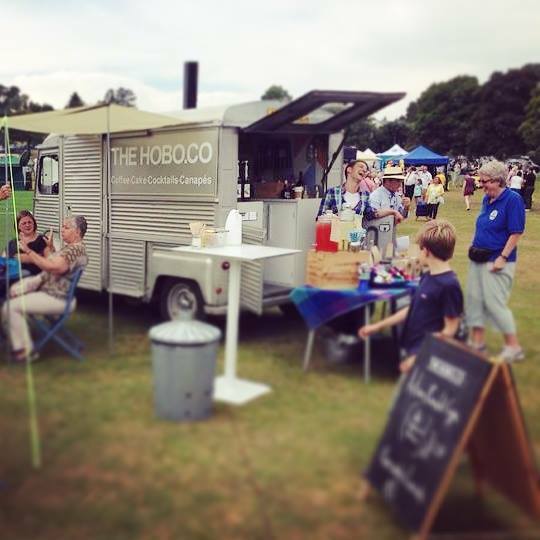 The Hobo Co is fully mobile and independent - we don't require access to mains water, drainage or electricity which means we can go any where the fun is, even in the middle of a field! In addition to our cakes and bakes, we can offer our hearty soups on a chilly day. 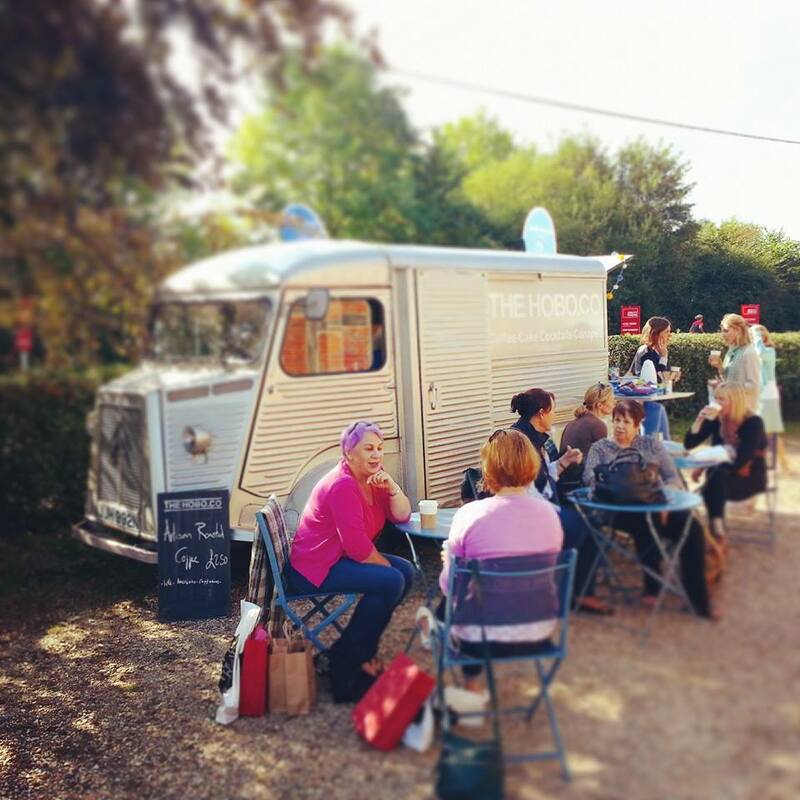 Whatever the weather, we will pop up a fully functioning cafe with all the comforts you might require. We offer a selection of gazebos and sun awnings, where customers can sit and relax at our bistro tables. We've always got plenty of blankets to wrap around if it gets chilly, or to fling out on the ground to bask in the glorious sunshine (however briefly!). 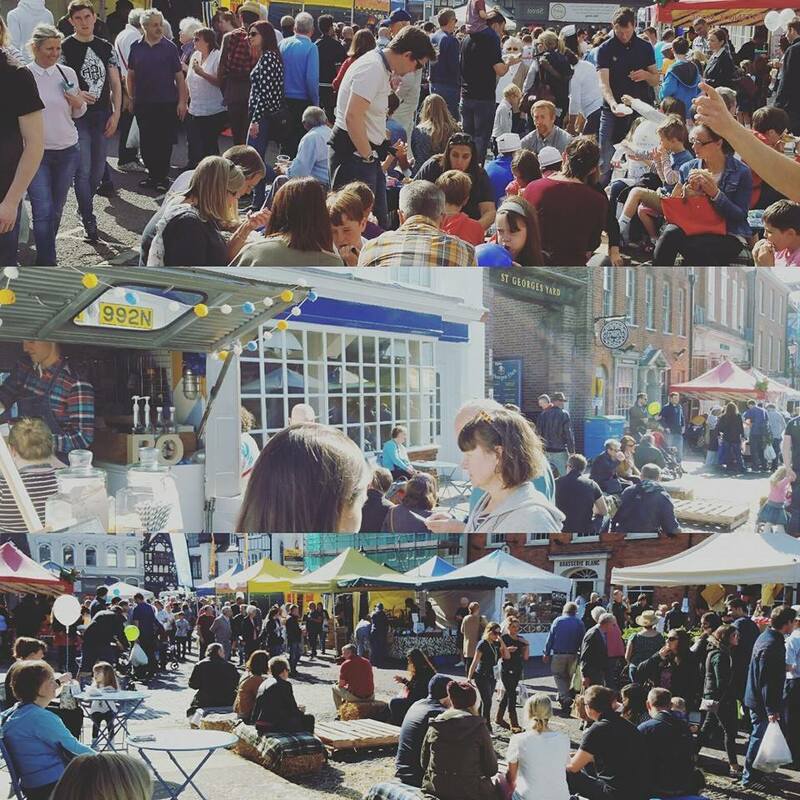 For larger events, we can supply straw bales for extra seating as well as rustic pallet coffee tables so that everyone has a place to perch and enjoy their coffee and cakes. Coconut shies, tombolas, and maypole dancing. 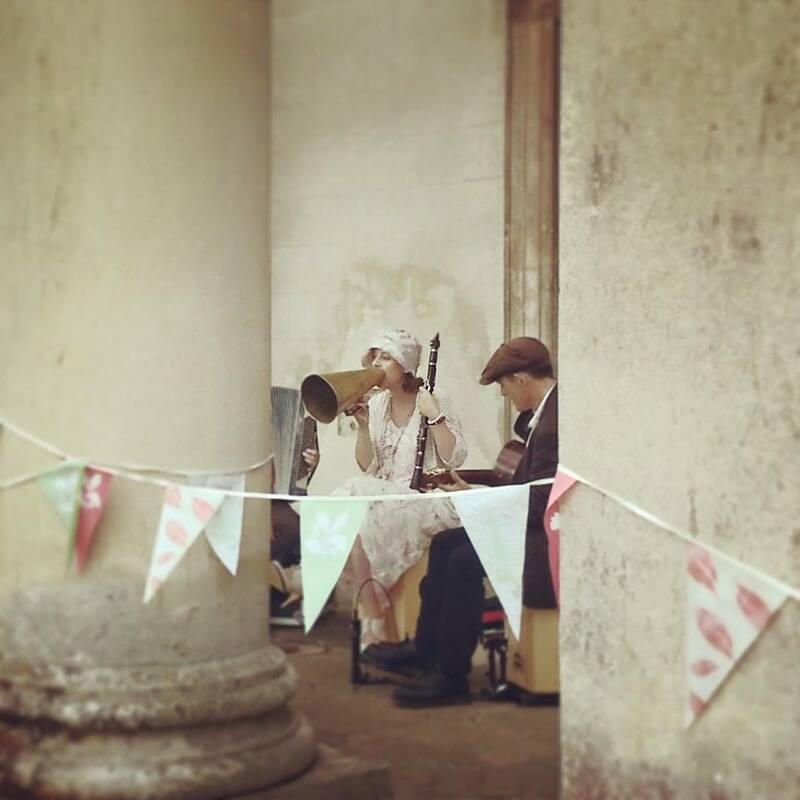 We love nothing more than a good old fashioned village fete. "The Festival is a real family affair where you can be assured a great day out and we look forward to seeing many of you there again this year." Always a full programme of events including marching bands, tug of war, traditional Morris Men and of course The Hobo for a glass of home made lemonade to refresh the revellers. 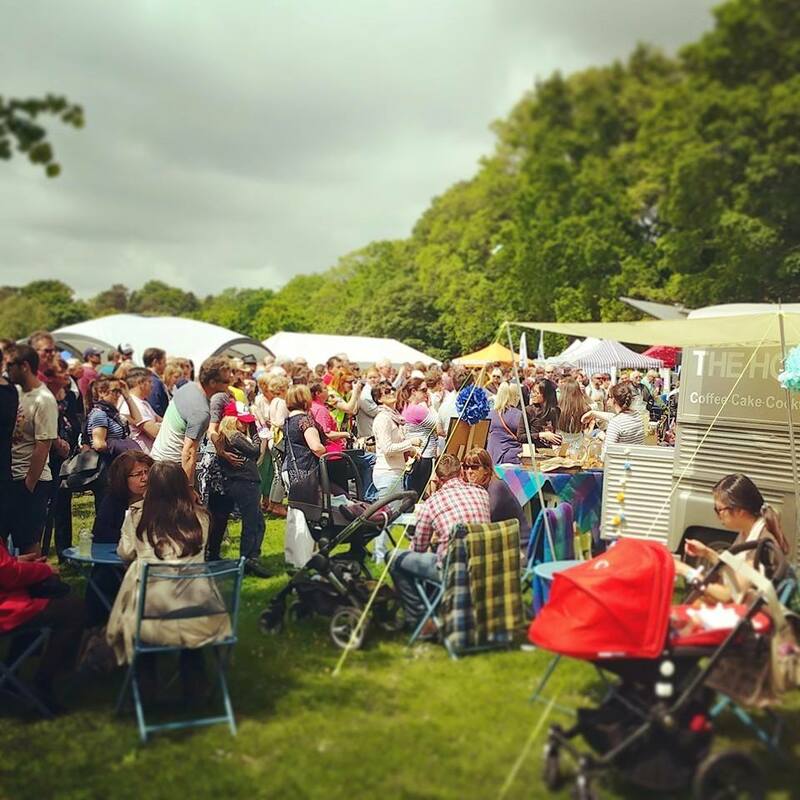 The 2015 Frensham Fayre was a Peter Pan extravaganza. "Captain Hook will open the Fayre and, for one day only, Tinkerbell will leave Pixie Hollow to bring her magic to Hollowdene. Learn to fly like Peter Pan on the bungees, test your strength and stamina on the assault course, ride the ponies and enjoy the regular Punch and Judy shows." We can't wait to see what's in store for next year! 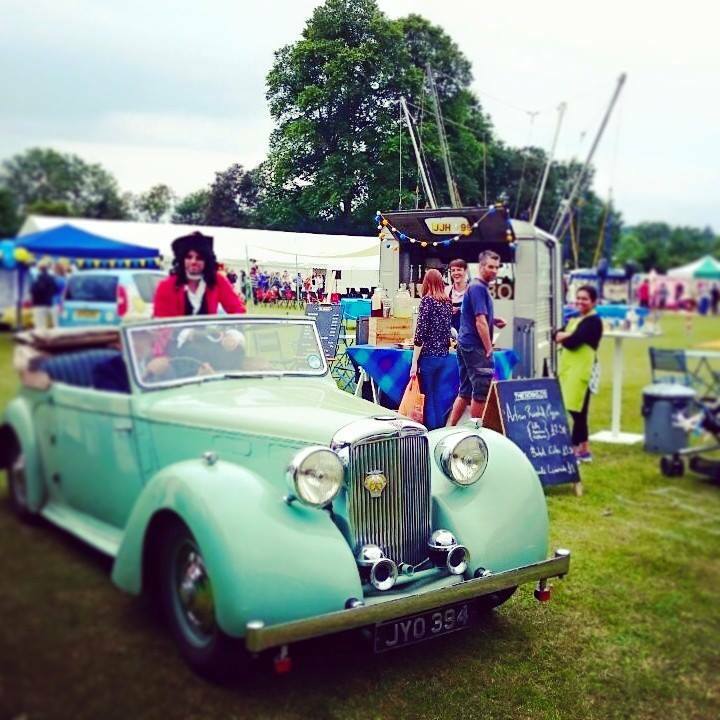 "The Bourne Show is a traditional village show which has taken place on the Bourne Green, Lower Bourne (just south of Farnham, Surrey) for over 50 years providing a great afternoon out for all the family and raising money for local charities and good causes." The Sherfield on Loddon fete usually takes place on the second Saturday of June, and is a fun-packed show full of morris dancers, dog shows, marching bands and all the usual trappings of the traditional country village fair. A real family favourite that we love to provide our summery refreshments for. Whether a spectator or a competitor, everyone appreciates a delicious coffee and a slice of home-baked cake to keep their energy up. From tired to wired in less than 5 minutes! From Equestrian eventing, to a cycletta over the Surrey Hills and a full on Marathon in between, we cover more sporting events that you can possibly imagine! Gone are the days when competitors and spectators will tolarate a polestyrine cup of 'instant' from a hot water urn! Our freshly ground coffee is roasted in small batches just before each event. 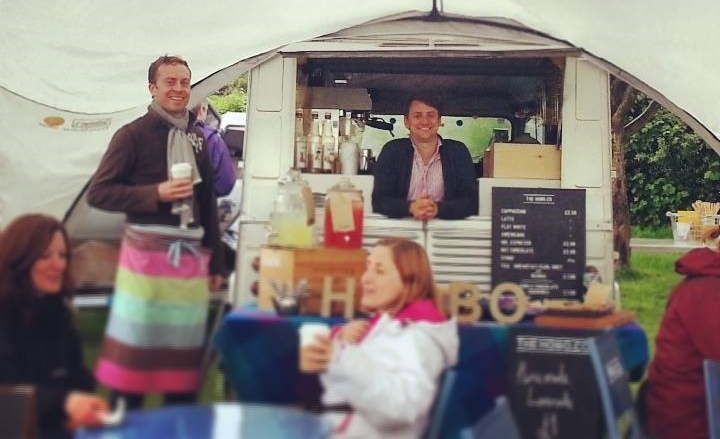 Chirpy and efficient, our team will ensure that you won't miss the start line without your caffeine and cake fix! Why not get in touch to book us for your sporting event? Arranging a school sports day or concert? Want your parents to be in even finer voice and cheerleading spirit? Invite THE HOBO.CO to serve our life- giving coffee. 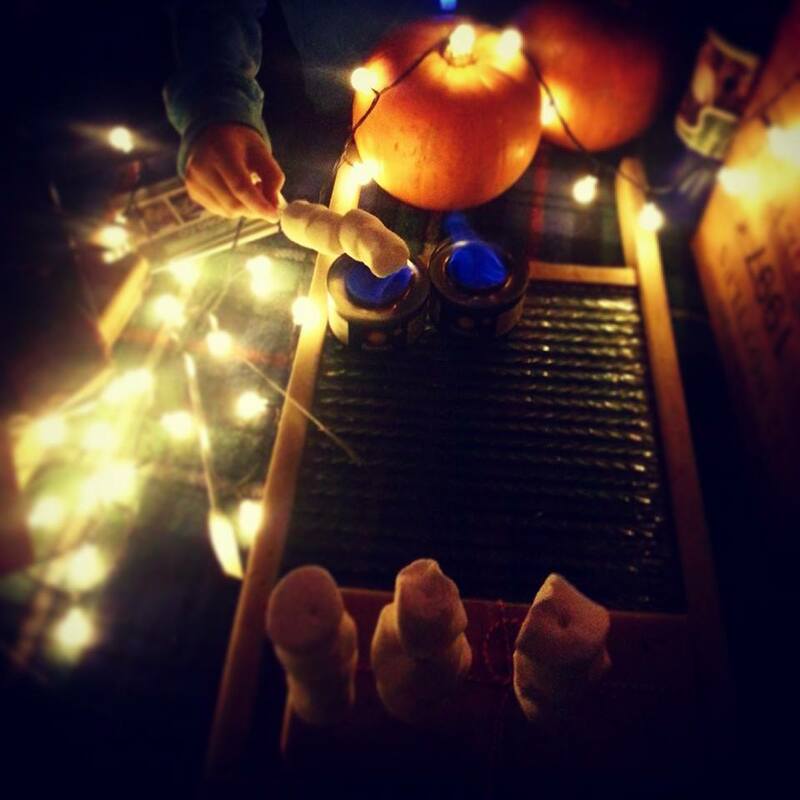 School events are a great way to get the community together, but gone are the days of watery squash and making do! 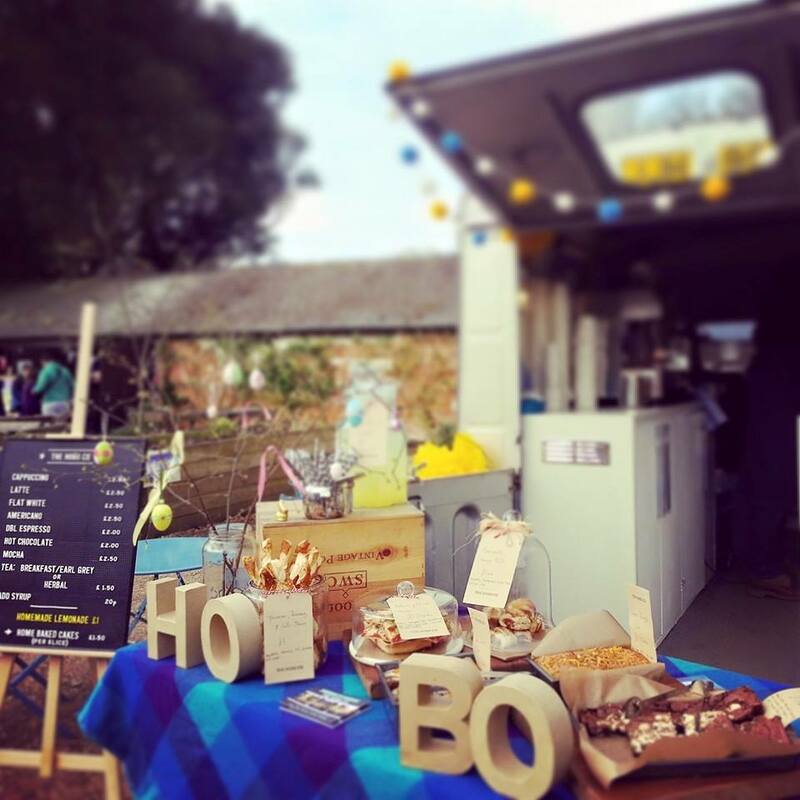 Invite the hobo to your school event, be it sports days, summer fetes or fundraisers, and we'll put on a great spread to treat parents and teachers to the finest coffee and wholesome bakes. There might even be a few treats for the kids too! It's a long day for everyone; a coffee and our famous brownies will provide all the energy your guests need to dance the night away. Why serve them anything else but the best? We've had the privilege of being invited to some really lovely weddings to provide the bride and groom's guests with a special after dinner treat. 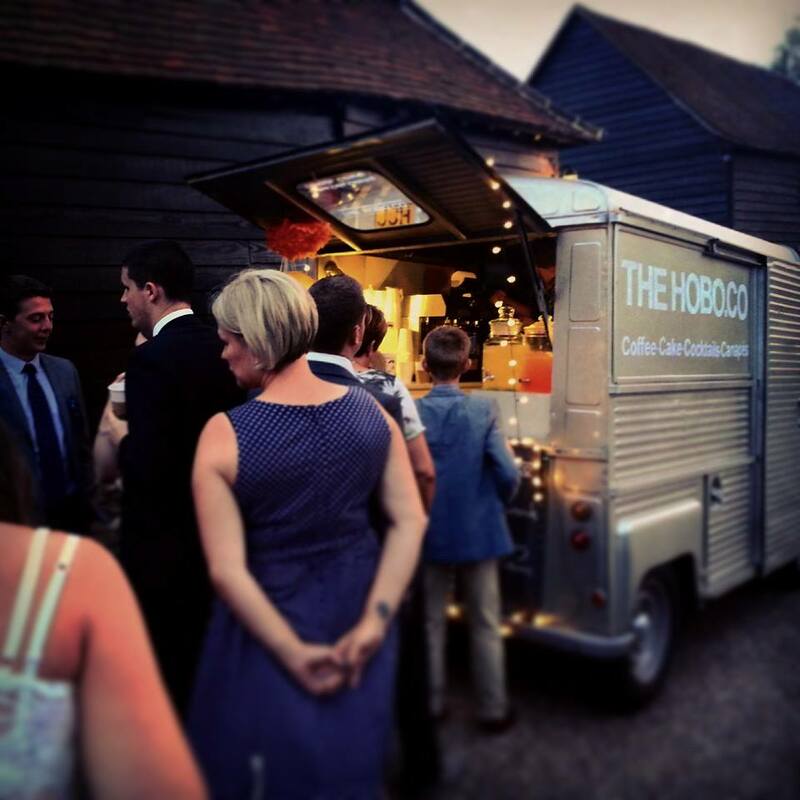 We can pop up at just the right time in the day to provide a welcome burst of frothy coffee goodness to fuel your guests well into the night. Quirky, fun and a lovely addition to your special day - we've got our hats and tissues at the ready! 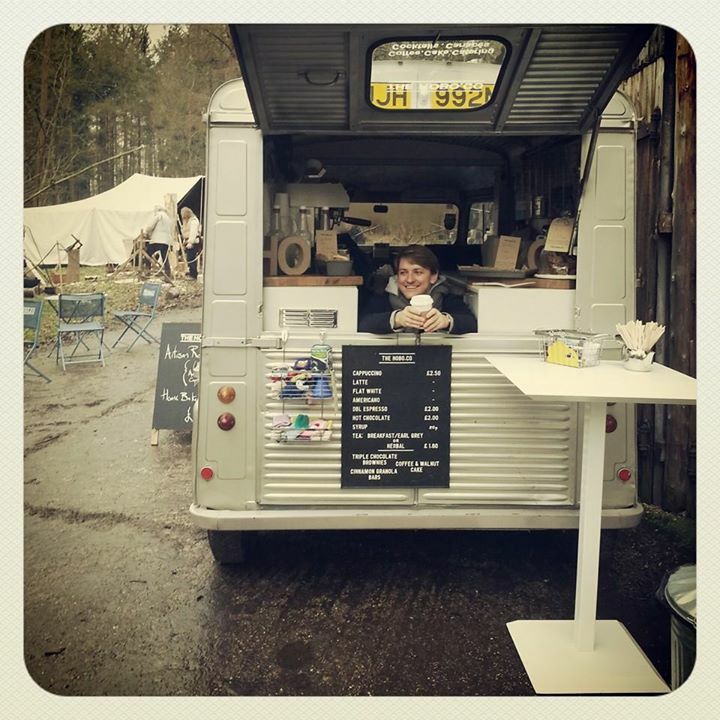 We guarantee that your stallholders and customers will love our quirky van serving home-baked cakes, savoury bites and artisan roasted coffee. 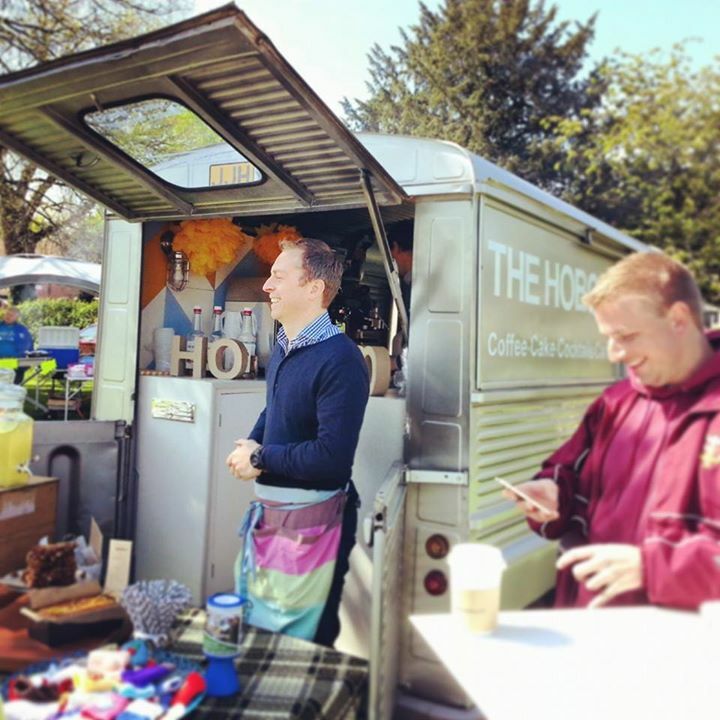 Be it a coffee morning, a table-top sale, or a sponsored sporting event, we can take all the stress out of organising your event with our delicious locally roasted coffee. There's nothing quite like raising money for a good cause to gladden the heart. 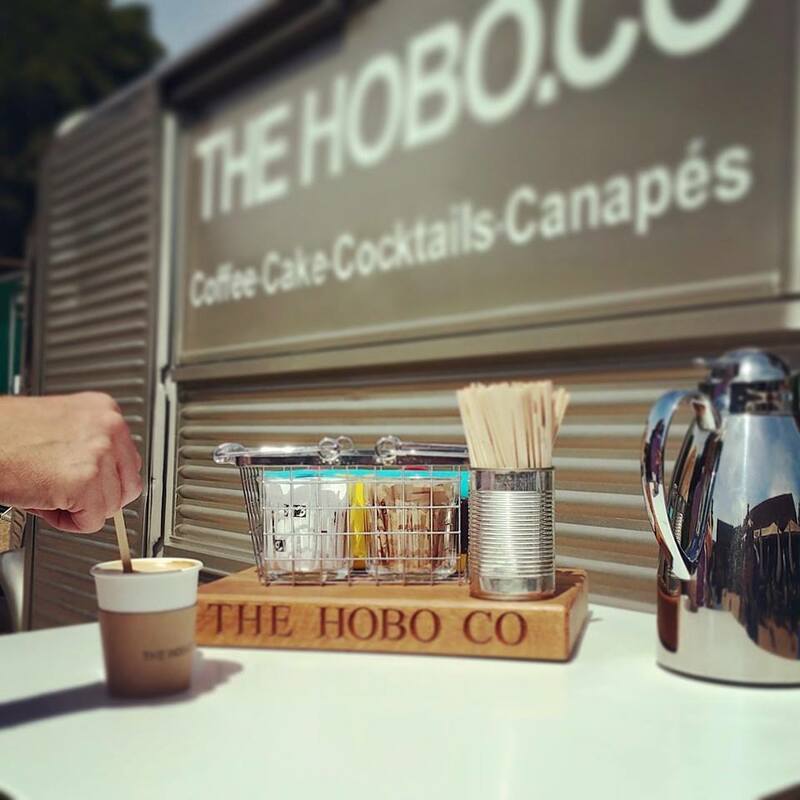 To take the hassle out of organising refreshments for your event, invite The Hobo to take care of the coffee and cake, and we'll donate a percentage of the profit to your cause - that way you can have your cake, and eat it! Crackling fires, toasted marshmallows and hot chocolates. We love the autumn. Mark the nights drawing in with fireworks and a big bonfire...oh and THE HOBO.CO serving hot drinks and seasonal bakes. Warm your hands around one of our delicious hot chocolates, toast your own marshmallows and enjoy the spectacle. With the nights drawing in we love nothing more than celebrating all that's best of the season. 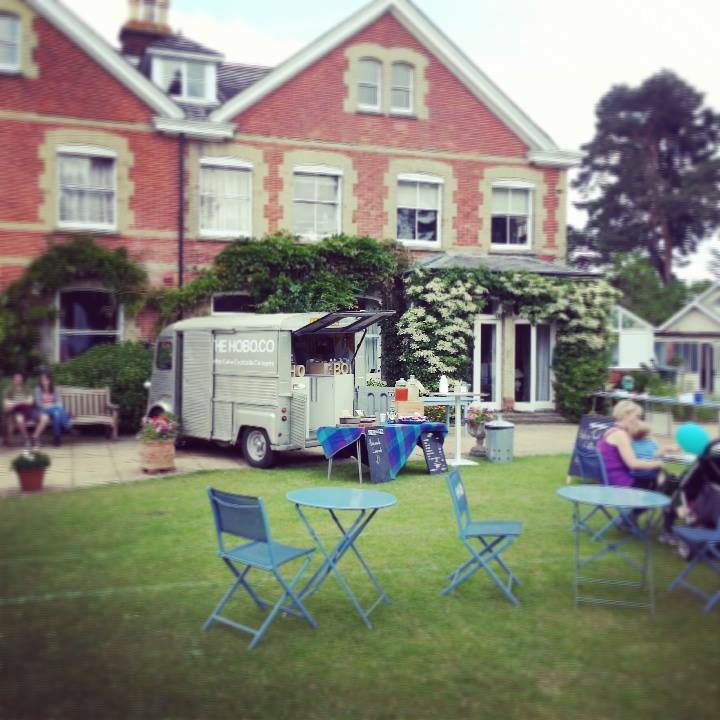 Invite us to come and serve our homemade goodies at your event whether a large public display or an intimate gathering in your garden. In the run-up to Christmas we can be found serving our delicious coffee, hot chocolates and home baked cakes to festive shoppers, browsing for unique gifts and edible treats at a Christmas market near you. We'll even bring the mulled wine to warm your cockles! What better way to while away a bank holiday afternoon than at these stunning National Trust properties? An intimate family home, the history of The Vyne spans the centuries. From its royal beginnings in Tudor times to its place today as a intriguing retreat for you to explore, you can lose yourself in the surroundings that inspired great authors. The house was lovingly rebuilt by its last owner, Ralph Dutton, after a catastrophic fire.